You may be talented but if you don't work hard enough to justify your talent then it is of no use. There are people who might not have the skills or talent, but by working hard they can even surpass the talented ones. 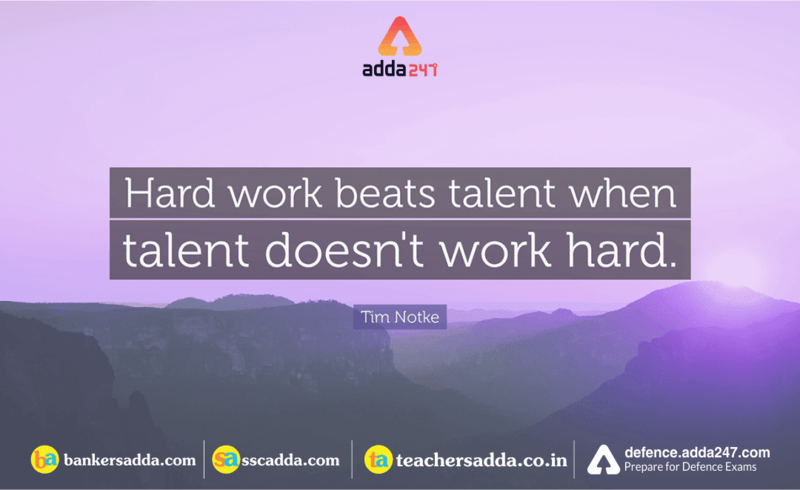 Hard work and a good dose of determination can lead you anywhere, even if you are not the most talented in this area. Think about all those super talents in your preferred area of sports. Only those talents who are willing to make an extra effort will be able to succeed. Otherwise, less talented people will outperform them with their boundless willingness to do everything they can in order to succeed.